MEXICO CITY (CNS) -- In 1941, the Mexican government -- under the control of a predecessor to the once-dominant and anti-clerical Institutional Revolutionary Party --- and the Catholic Church made peace, sealing their pact in the state of Guanajuato. Seven decades later, with the Institutional Revolutionary Party favored to regain the presidency in elections later this year, church and government leaders will meet again in Guanajuato, where Pope Benedict XVI will visit March 23-26 -- at a time church-state relations have decidedly improved. "It's a very emblematic state, where ... there have been the biggest conflicts ... and the biggest pacts between church and state," Ilan Semo, political historian at the Jesuit-run Iberoamerican University, said of Guanajuato. The 1940s pact ended a quarter-century of strife marked by the Cristero Rebellion -- when fighting flared and churches closed for three years in the late 1920s. But church and state remained estranged for much of the last century, and the Vatican and Mexico only established diplomatic relations 20 years ago. Relations, however, have warmed to the point that President Felipe Calderon -- whose Catholic-friendly National Action Party has governed since 2000 and draws strong support in Guanajuato -- will personally welcome Pope Benedict March 23 for a four-day visit to a region known for the Cristero Rebellion and conservative Catholic politics. For church observers such as Semo, the setting and timing speak volumes, especially as Mexico moves into an era of improved church-state relations that promises to lift lingering restrictions on church-sponsored speech and potentially promises to provide prelates with a voice in the nation's political and public-policy arenas. But church officials publicly caution against reading any symbolism into the papal visit. The visit is scheduled barely three months before state and federal elections -- a time previously unthinkable for a papal tour of Mexico, where references to Our Lady of Guadalupe during campaigns have been enough to annul elections. Pope Benedict is scheduled to celebrate Mass for more than 300,000 Catholics at the foot of the Cerro del Cubilete, a hill topped by a massive statue of Christ considered emblematic by those remembering the Cristero Rebellion and the martyrs since canonized. "Symbolically, (this) reinforces the presence of the church in Mexico," said church observer Victor Ramos Cortes, professor at the University of Guadalajara. The visit to Guanajuato, he added, comes as the church has canonized some and beatified even more martyrs of the Cristero Rebellion. "(The visit) has to be related to with this (church) attitude ... over the past decade and a half ... of putting the Cristeros at the center of their attention," he said. The Mexican bishops' conference secretary-general, Auxiliary Bishop Victor Rodriguez Gomez of Texcoco, told reporters Jan. 1 the pontiff would visit Guanajuato because of logistical and health reasons. Silao, site of the Mass, is roughly the geographic center of Mexico, while the pope's physicians ruled out a trip to populous Mexico City due to its high elevation -- more than 7,300 feet. Additionally, Blessed John Paul never visited the area during his five trips to Mexico. The trip to Mexico -- and later Cuba -- is Pope Benedict's first to the countries since he was elected in 2005. Pope Benedict arrives in Mexico at a difficult time as violence attributed to warring drug cartels and organized crime has claimed more than 40,000 lives over the past five years. In a statement, the bishops called the trip, "A motive of hope and confirmation of faith in the Lord." Others in the church, such as Father Robert Coogan, an American ministering to prisoners in northern Mexico, wondered, "What message will he bring for nation that's suffering?" 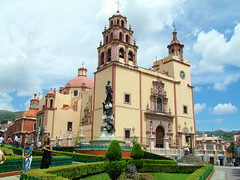 For the many Mexican media outlets, the trip's timing and location were the message, especially given Guanajuato's stature as the country's most Catholic state -- 94 percent, according to the 2010 census -- and history of spawning conservative movements with friendly policies toward the church. The National Action Party, founded in 1939 by those in opposition to revolutionary principles, grew strong in the region, where an especially secretive Catholic faction known as "El Yunque," or "The Anvil," supposedly still holds sway. At the same time, a Catholic agrarian movement known as "Sinarquismo" surged, even though its leaders were openly anti-Semitic and admired fascist leaders of 1930s Europe, and its handful of followers do so to this day. Guanajuato Gov. Juan Manuel Oliva -- who makes no secret of his piety -- accompanied Archbishop Jose Martin Robago of Leon in inaugurating a new plaza Jan. 2 near the Leon Cathedral. The plaza was built with public money and features a mural highlighting the massacre of victims protesting 1946 election fraud. Former President Vicente Fox, who ended one-party rule in 2000, also hails from the state. Fox's party is not favored to win the upcoming presidential elections, but observers such as Ramos say church-state relations will continue warming in the coming years, and Catholic leaders will exert ever more influence, even if the Institutional Revolutionary Party regains power. "They (church leaders) want to be active in the direction of the country," the professor said. One minor correction. 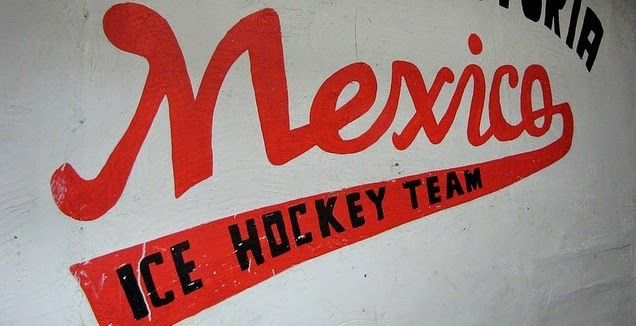 The PRI was not founded until 1949. While it was a successor to the PRM(Party of the Mexican Revolution) with the same leadership, the party then in power had a very different organizational structure and composition. The PRM included military cadres; the PRI was organized in large part to demilitarized the government. Vicente Fox was the first president from the anti-Revolutionary party, but to say he ended one party rule is a slight stretch, the legislature having a non-PRI majority at the time.